On State Street and 722 South in Salt Lake City, you will find something that looks like it was transported from a century that SLC had no part in. Nonetheless, there sit ancient houses from Vietnam that are over 300 years old. It is a corner of the city that looks and feels as though an ancient Asian market town got lost somewhere in the universe and then eneded up in the land of Zion. But don’t worry, this beautiful and delicately old strip of State Street is just another one of the amazing restaurants that Salt Lake City has to offer, Sapa. On the inside and out, Sapa has really outdone itself in regards to creating a certain “feel.” Bringing together ancient and modern decor is difficult, but I think that Sapa pulls it off beautifully. However, just like a beautiful bottle doesn’t always mean the wine is tasty– a restaurant that has the decor down, doesn’t mean the food is good. But, it was. It REALLY was. Our server, Justin, was pretty great. My friends and I are definitely a group who will take suggestions if they are given. When we asked Justin for a few suggestions, he didn’t hesitate. “Jalapeno Bomb! !” he cried!! You will love it!”. Oh, and he was oh so right. This was probably my favorite dish of the evening. 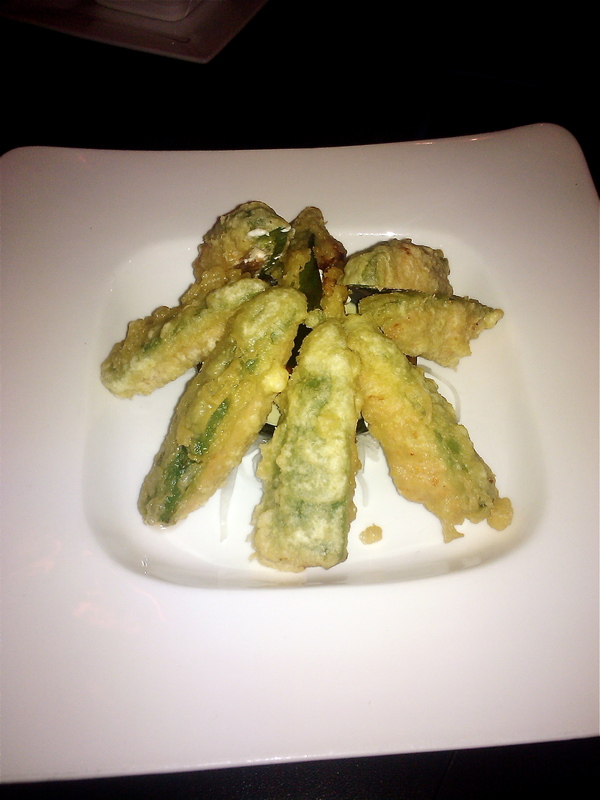 For $7.50 you get jalapeños stuffed w/ cream cheese & spicy tempura tuna served w/ spicy trio sauce. Oh. Em. Gee. 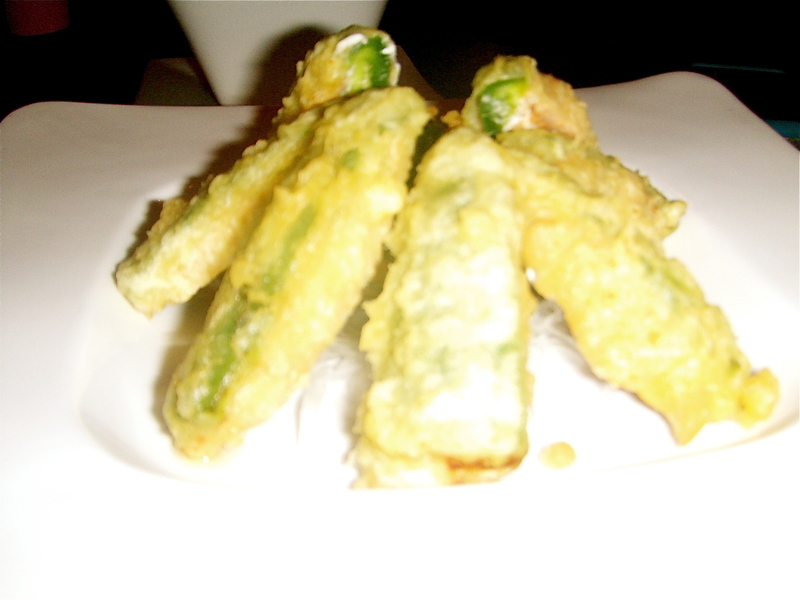 Please order this tasty appetizer when you eat at Sapa–that is a Nosh Maven order! 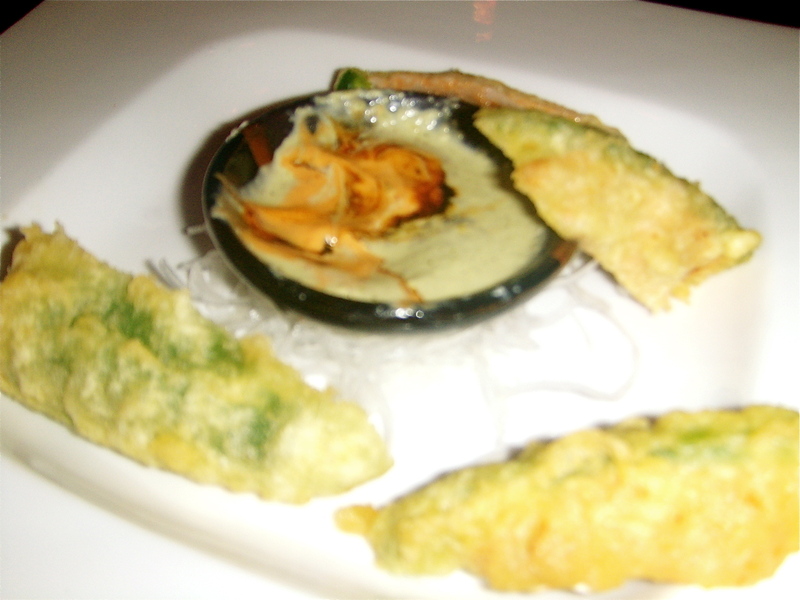 Also, among the other appetizers that we tried were Miso Soup (always gotta check that out) and the Gyoza. 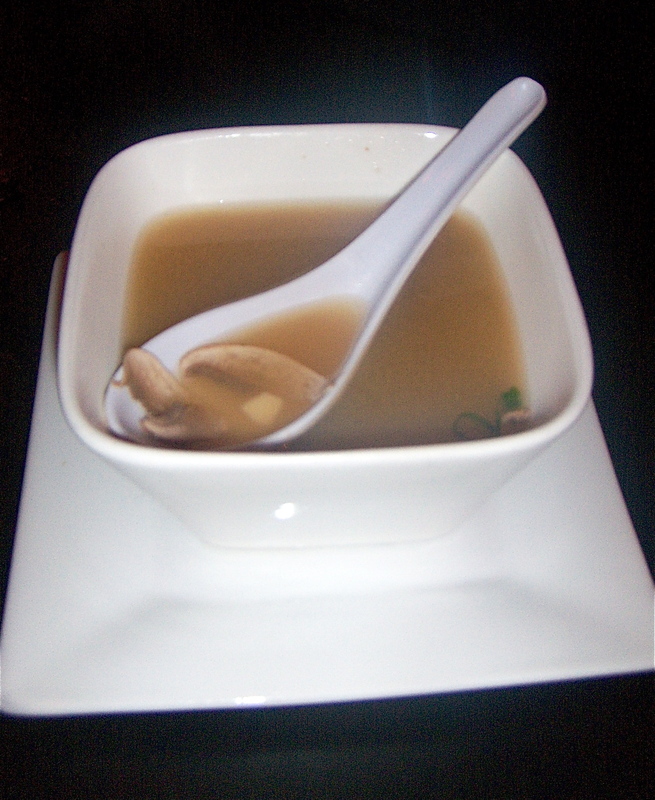 The Miso Soup was great–adding mushrooms to a traditional favorite. 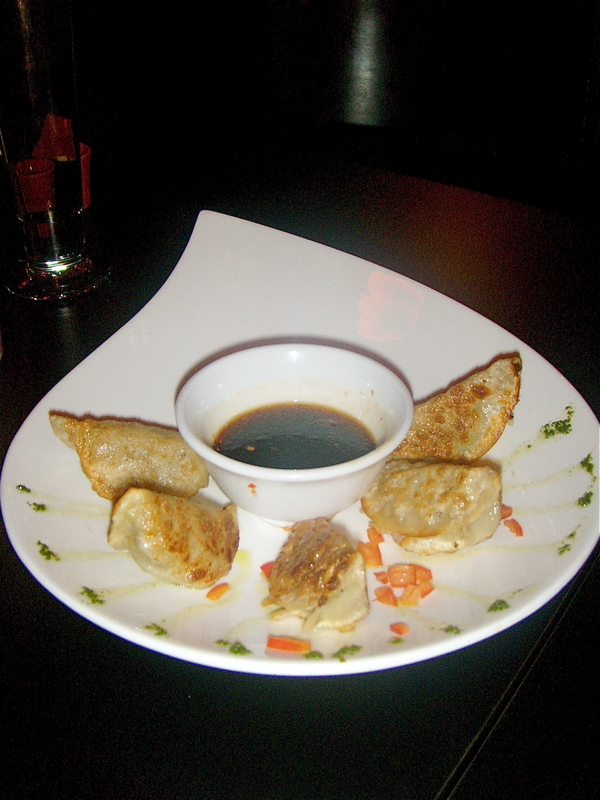 The Gyoza was…well, interesting. Not in a bad way, but different. 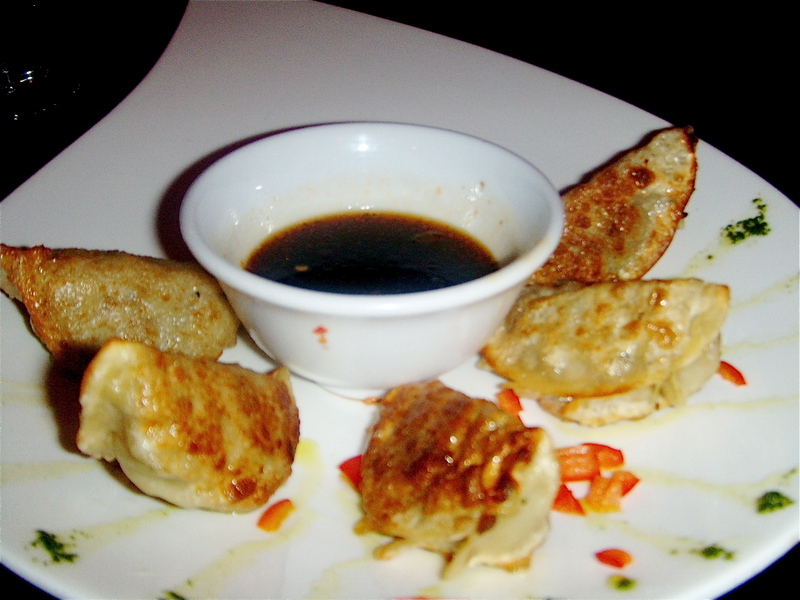 While the discription on the menu was to be expected (freshly made, steamed & pan seared dumplings w/ pork, chives, vegetables served w/ homemade ponzu sauce), there was definitely some cinnamon and/or nutmeg flavor that had been added to the meat. Was it good? Sure. Was it what I was expecting? Nope. I didn’t love them as much as a traditional Gyoza dish, but they weren’t bad. 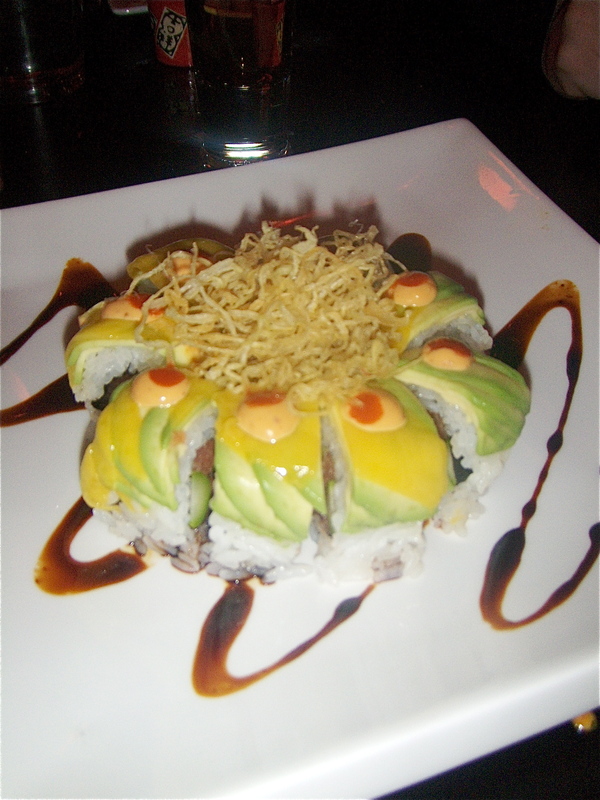 Then, there was the sushi. I wasn’t sure what to expect. I knew that Sapa served sushi, but they seemed more of a main dish type of restaurant–and you never know what you are going to get with those. 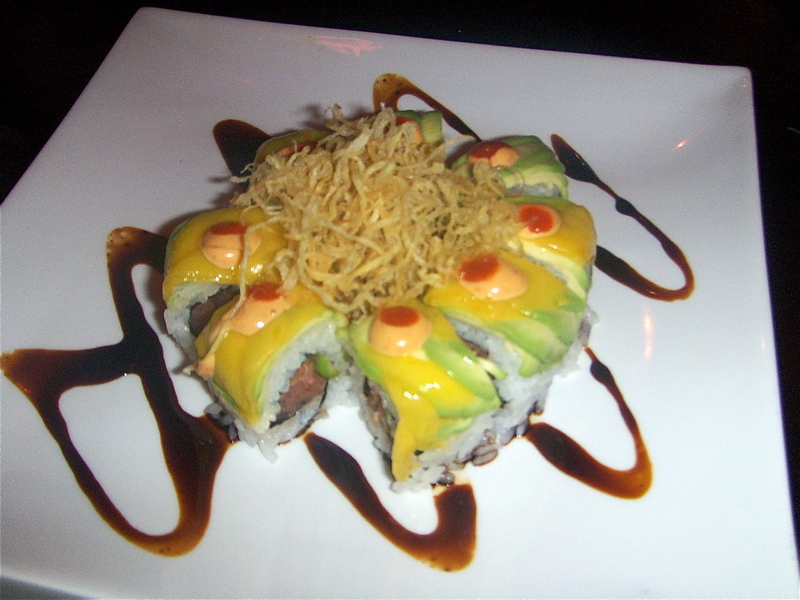 However, the sushi was fresh, beautiful, colorful, and amazingly tasty. 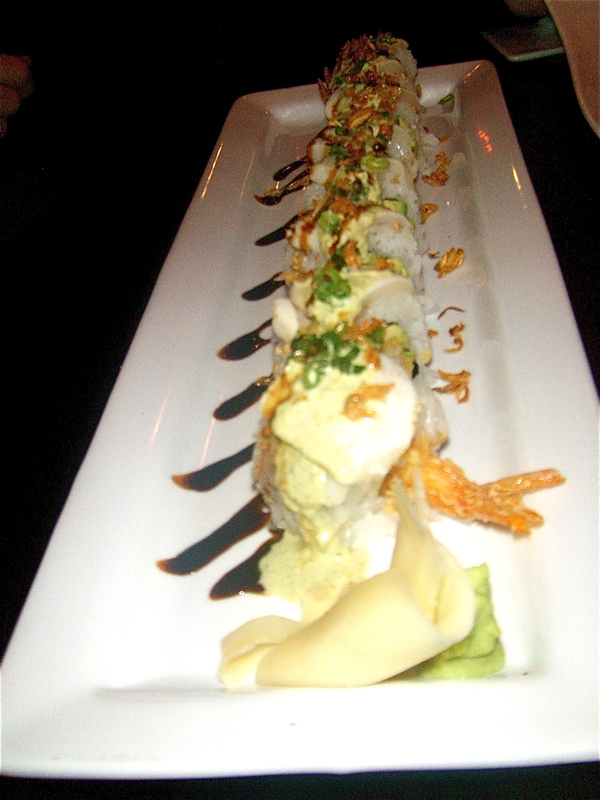 The two rolls of the evening: The Snow White (tempura shrimp, avocado & cucumber topped w/ scallion, fried onion & seared escolar) and the Black Magic (crispy rice topped w/ spicy tuna, scallion, masago & black pepper sauce on cucumber). Both rang in at $12 and both were awesome. The main entrees of the evening did not disappoint either. 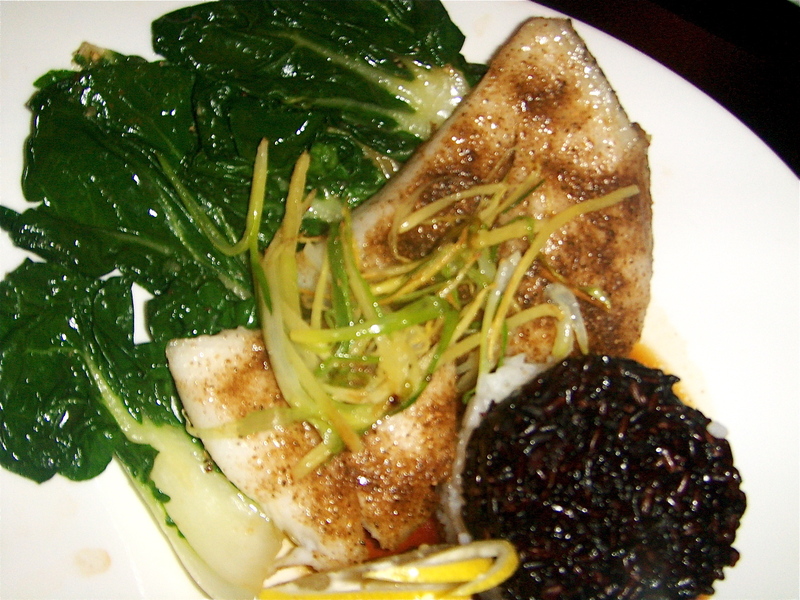 The Coriander Seabass (pan seared Chilean sea bass seasoned w/ a house blend of Chinese 5 spice served over forbidden rice, sesame seed spinach and house made ponzu) was excellent. 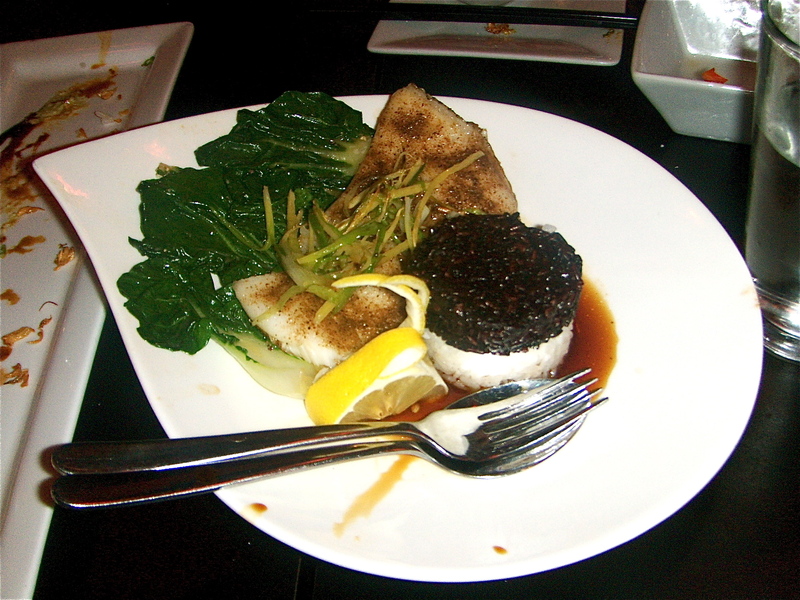 The fish was a smidge undercooked, but not enough to bother me–although some other guests at the table mentioned it. 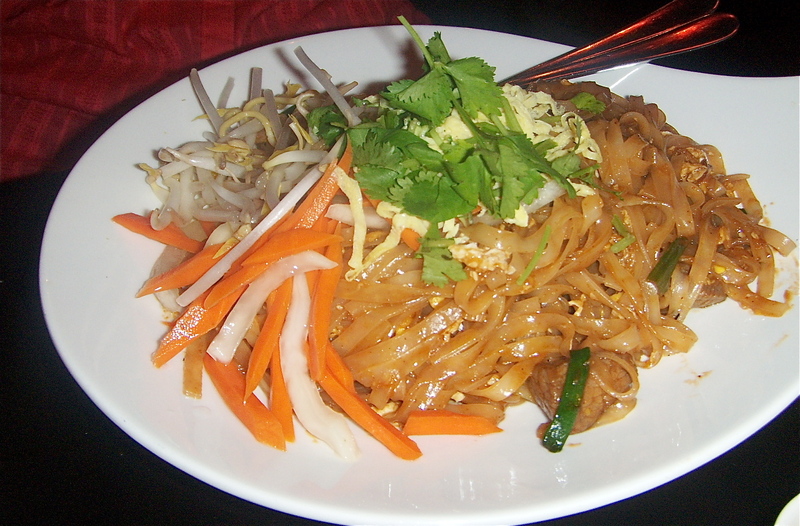 This dish will cost you $20, but it is quite worth the bill. It was so beautiful, I couldn’t stop photographing it. 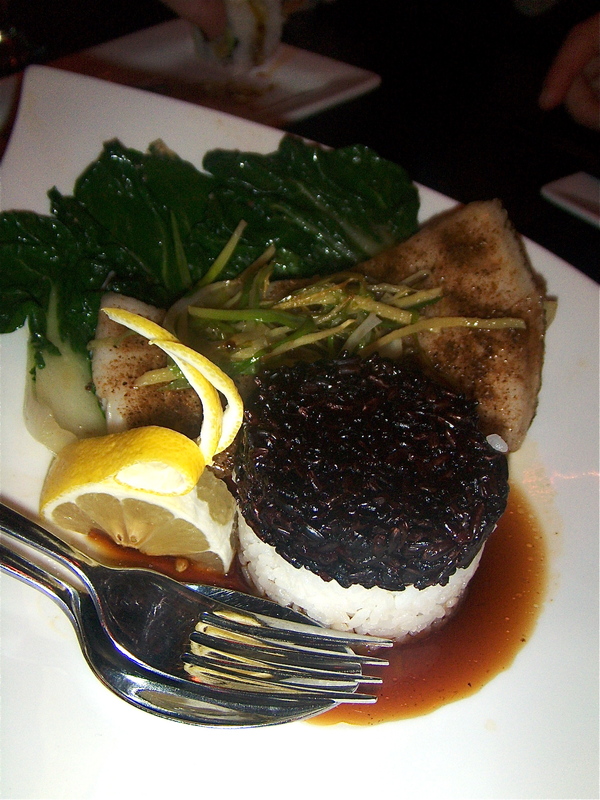 The sidedish of “forbidden” rice was awesome–the brown rice was much more texurized than the white, adding a really lovely mix of soft white rice and more grainy brown rice. The coriander was definitely present as well, which I loved. 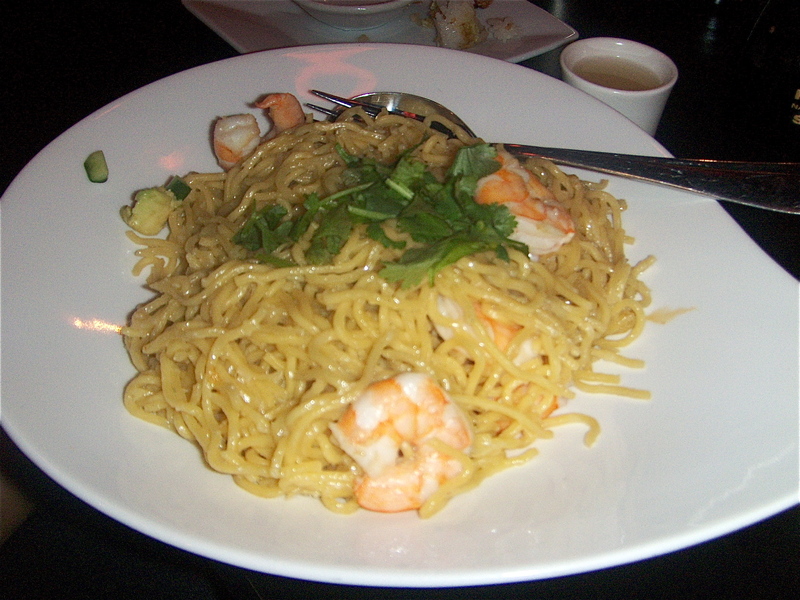 And of course, a few noodle dishes were a must. 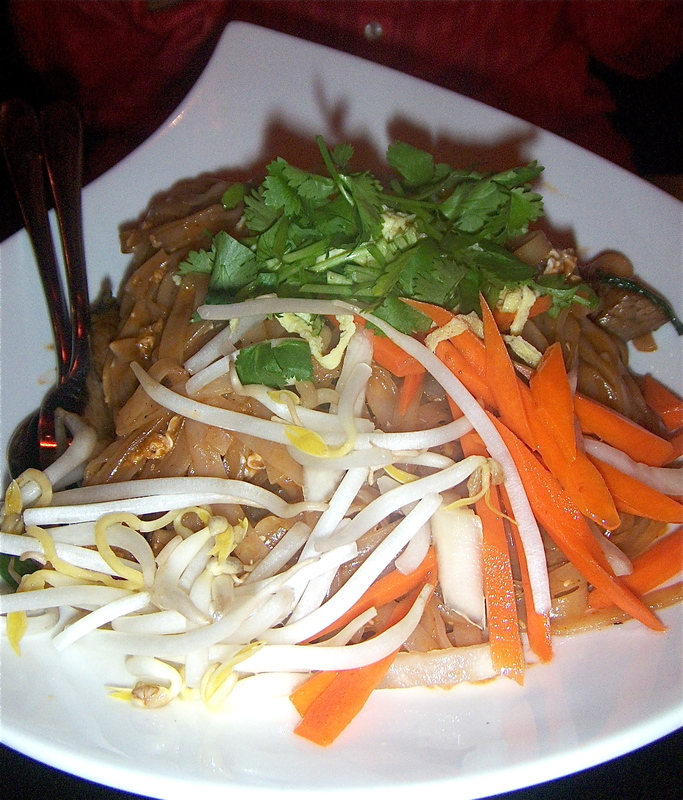 Justin recommended the Drunken Noodles (flat rice noodles stir-fried w/ basil, garlic, tomato, sake & chili tofu paste), which were ordered with beef and we also ordered the Sapa Noodles (rice noodles stir-fried w/ egg, bean sprouts & green onion served w/ lime & peanuts) with Shrimp. Both were great, but the Drunken Noodles had a rich, almost smokey sauce that worked perfectly with the super tender beef. Noodle bowls will run you anywhere from $10 – $12, will fill you up, and will satisfy cravings like you wouldn’t believe. 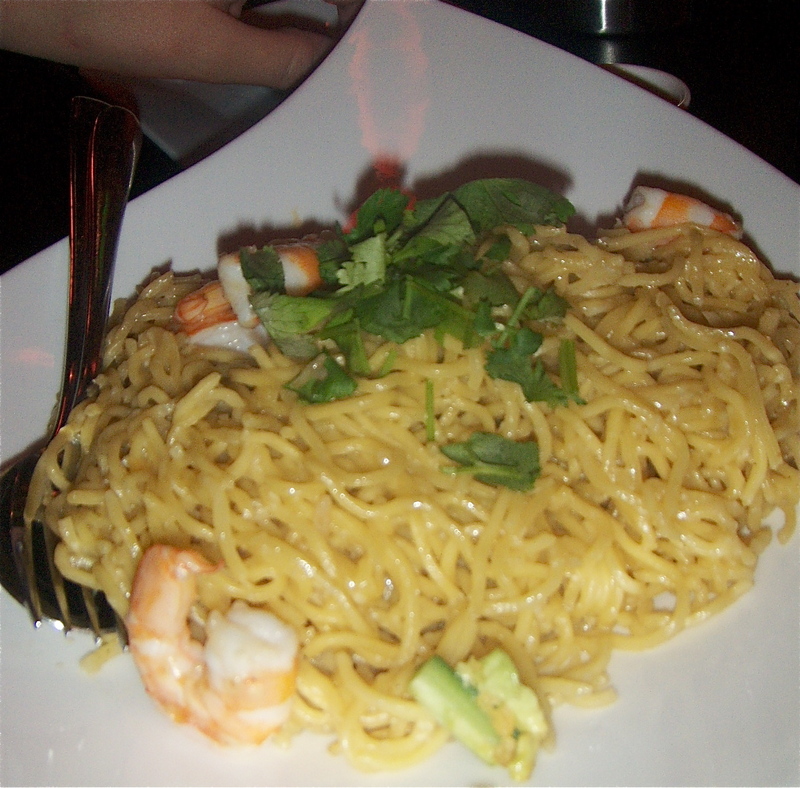 If you are looking to spend a little less–the noodles are a good way to go and there is plenty to share. We didn’t have any room for dessert at this point (obviously), but that didn’t stop me from enjoying the Sake Sampler. 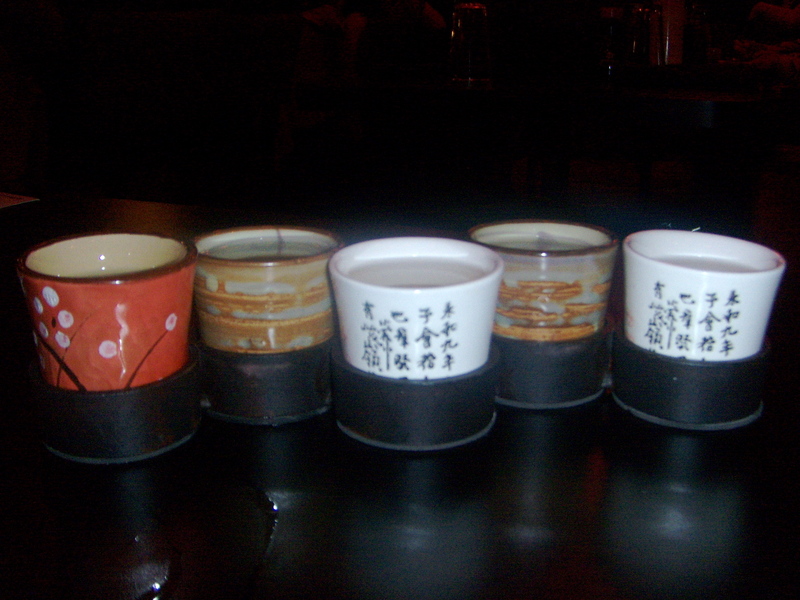 I am personally a fan of chilled sake, as that is how sake is traditionally served. For $12, I was able to sample several: Diamond, Pearl, Ruby, Silver, Kurosawa. Ruby was my personal favorite–a little smoother with some nearly fruity notes. Delish! And of course, a bottle of Sake was had as well. 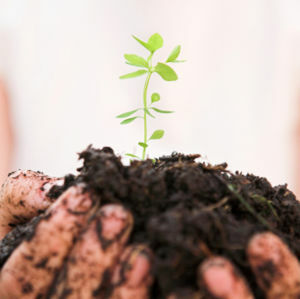 You can find Sapa at 722 South State Street in Salt Lake City. Get there–and check out their excellent catering and party menu as well. I can’t wait to see the amazing patio in the summer! Make sure to check out their website for some beautiful photos!